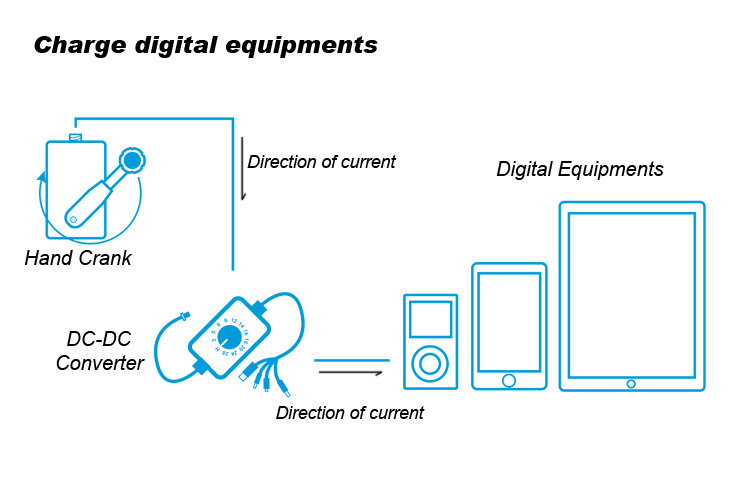 ♦ Can match to electronic devices requiring different voltages. 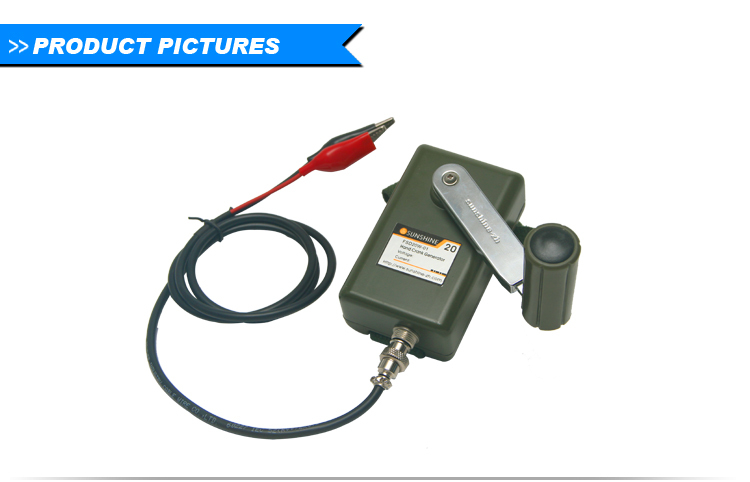 ♦ This product meets national military standards. 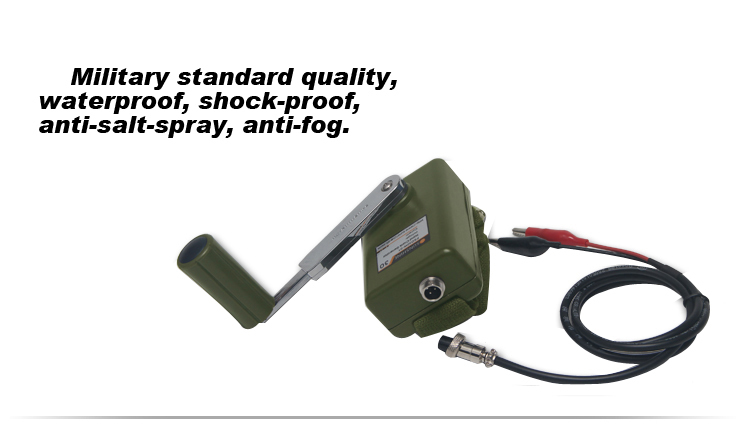 ♦ Military standard quality, waterproof, shock-proof, anti-salt-spray, anti-fog. 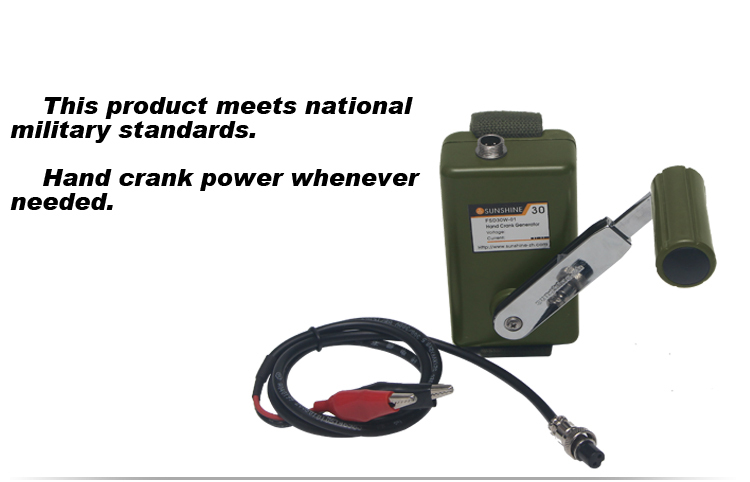 The Rare-earth permanent magnet generator is designed to perform as an emergency power supply that meets national military standards. 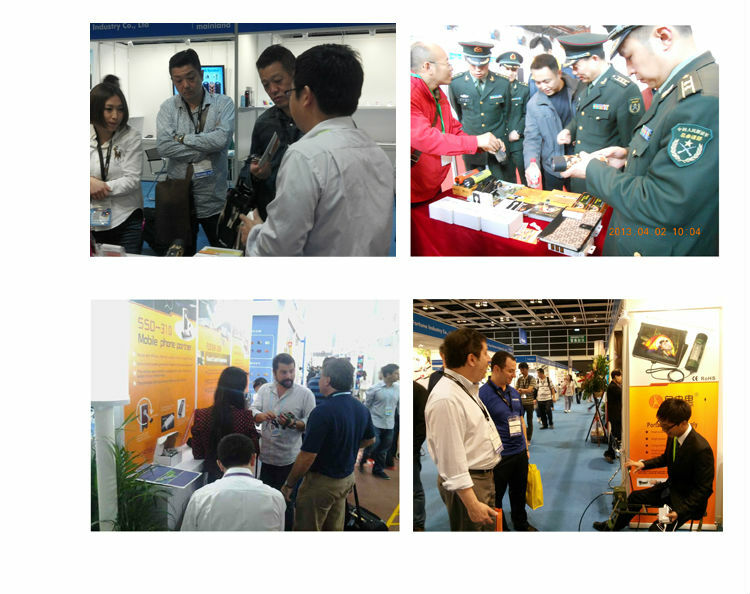 It has valuable applications in a variety of earthquake devastation, as well as handling survival conditions, emergency communication needs, longterm power disruptions, outdoor activities, geological and marine exploration, etc. 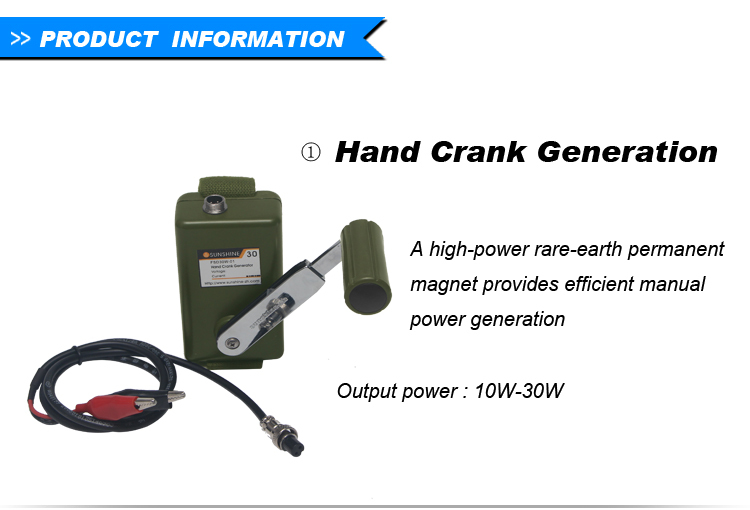 The hand crank generator uses high-tech magnetic conversion technology and rare earth magnets to deliver high efficiency power generation in a light-weight, portable device. 2. 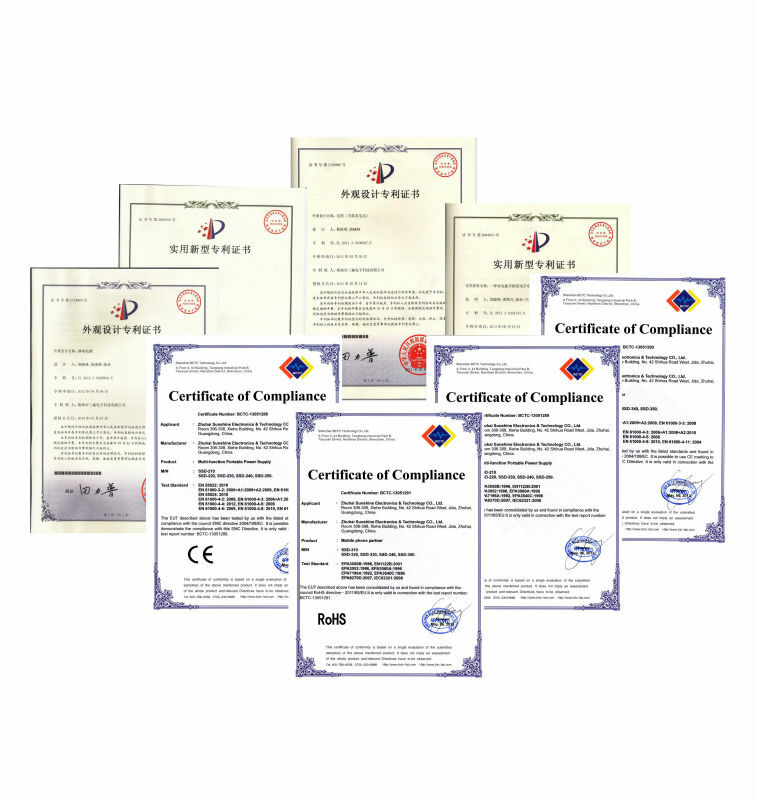 The outer case is made of high-strength, aluminum-alloy composite materials. 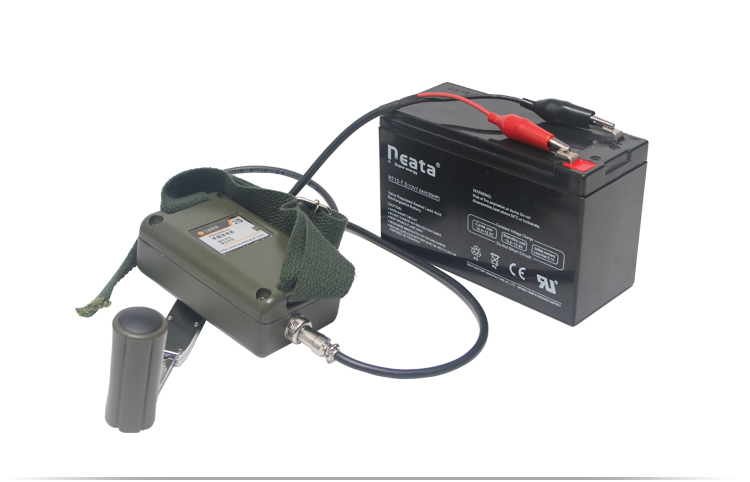 from 0-28v, is available for charging different electronic products or batteries. 4. 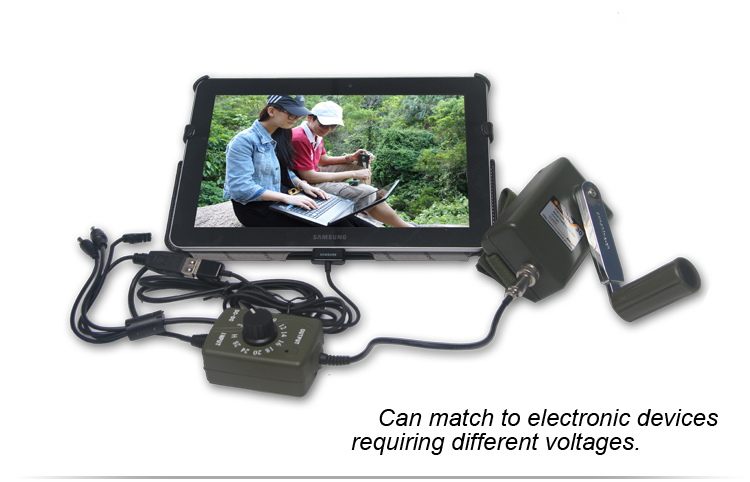 This product meets national military standards. 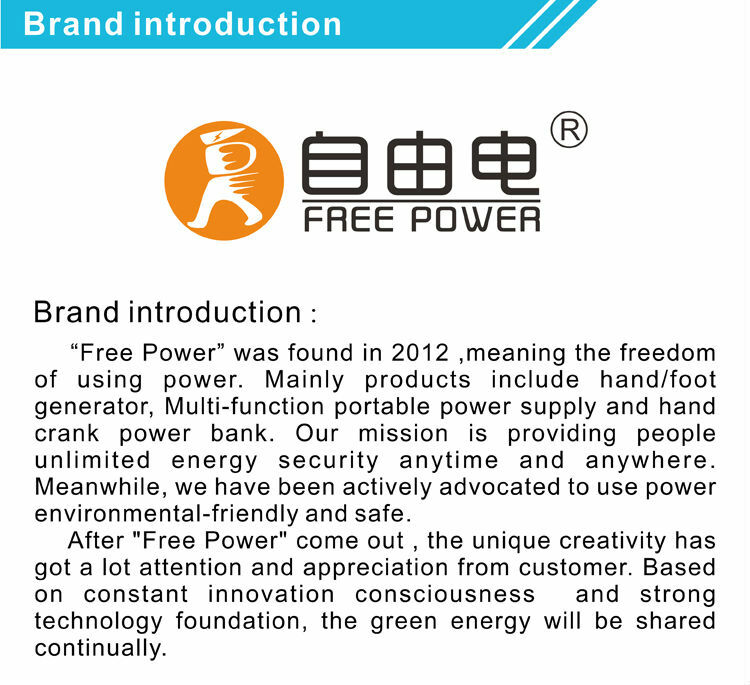 It is waterproof, shock-proof, and is unaffected by salt-spray or fog. It can be operated in high altitude and/or low temperature. 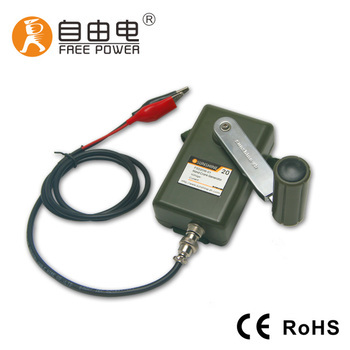 hand speed should among: 50-120R/min range, so that the output voltage to reach the required output voltage. Ø12 aerial connector output cable connected to the fuselage, cable ends welded two Alligator Clips, red positive terminal, black to negative terminal or according to customer requirements by changing the ways. One bind strip, one output cable. 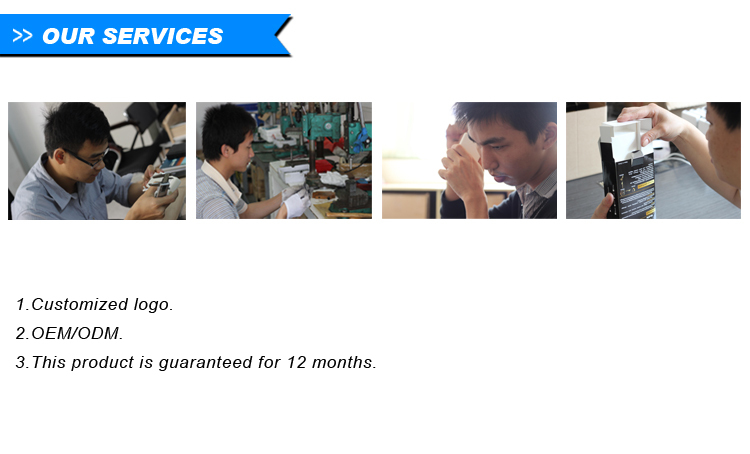 Please specify your output voltage requirement when placing an order for the generator. 1. 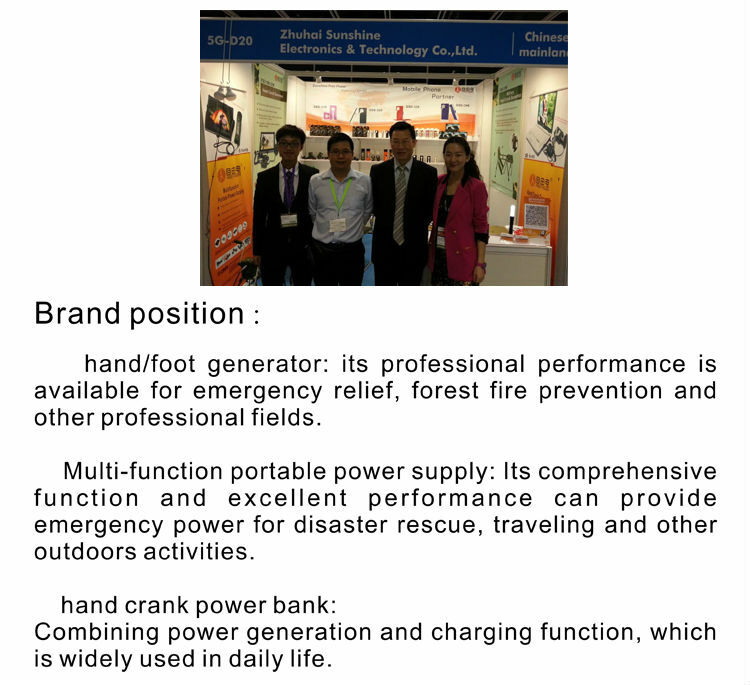 This hand crank generator uses high-tech magnetic conversion technology and the outer case is high- strength aluminum composite alloy material. 5. Current overload and overheating protection.